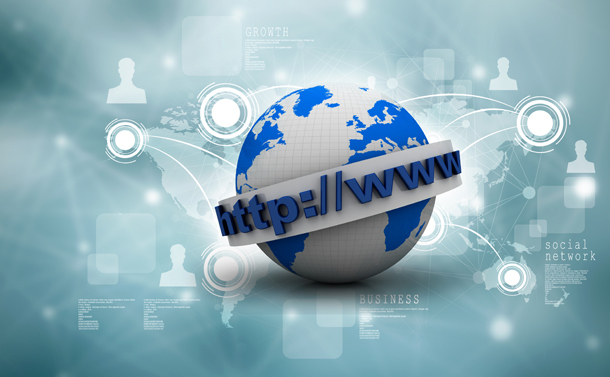 There are more than 200 million active websites on the Internet. And, when we talk about both active and inactive, there are about 1.7 Billion websites (out of which 75% are inactive). Well, we all have used the Internet and in all probability you must have typed a URL Address or Uniform Resource Locator, to get where you are going online. For example, https://blogs.systweak.com/ or https://www.systweak.com/advanced-system-optimizer/download. It is awfully confusing that, why do we need HTTP and all other special characters like ‘/’, ‘#’, ‘?’ in the URL’s? Today, in this article, we will demystify how do site URLs work and what is the role of above given term and symbols. Now, starting from the beginning, let’s talk about Protocols first. Protocols are used for proper communication between the client and the server. The applications like emails, web-browsing, video surfing, etc. use different-different protocols such as HTTP, HTTPS, FTP, etc. to make the transmission more better. HTTP – It stands for Hypertext Transfer Protocol. This protocol is used by the World Wide Web (WWW). It is a client – server based protocol. HTTPS – It stands for Hypertext Transfer Protocol Secure. Used for more security and privacy between client and server. FTP – It stands for File Transfer Protocol. It is also a client-server protocol, which is used for transmitting files between computers over the web. Hostname is a human readable form of an IP address, and is a name assigned to a particular host to distinguish between the systems. It is used by Domain Name Servers (DNS), so you can access the website by its name, instead of typing an IP address. The hostname is said to be a Fully Qualified Domain Name (FQDN), when the domain name is completely stated, which also includes top-level domain. google.com: Here hostname is ‘www’, Domain name is ‘google’, and Top-level domain is ‘.com’. google.com: Here hostname is ‘images’, Domain name is ‘google’, and Top-level domain is ‘.com’. office.com: Here hostname is ‘products’, Domain name is ‘office’, and Top-level domain is ‘.com’. Talking about top-level domain, it is last part of the domain name, after ‘dot’. Port numbers can be seen in web or URL address very rarely. This is because, HTTP, by default uses port 80 and HTTPS uses port 443. But, when a port number is specified in URL, it specifies that your web browser is connected to the port. Above mentioned example specifies that the web browser is connected to port 8080 of HTTP server. Path is a sequence of segments divided by slashes. This sequence is usually specific location of the page or a file system. It begins with ‘/’, and should not start with double slash (//). Path also includes filename that includes, index.htm, products.php, about.html, etc. Each slash tells you about the next subfolder on your computer storage. Question marks (?) make URLs hard to read, and are important. They indicate a query defined by a user. For example, if you type a search in to Google ‘impact of technology on the entertainment industry’, you will see the strings of search after the question mark (?) symbol. It tells the server to execute that search. If a URL contains multiple queries separated by ampersand (&), it shows that the browser is transmitting multiple pieces of information to the website. Such as what kind of browser you are using. And if you have ever clicked a link sent by someone, which redirects you to the specific page, that is probably done through fragment (#). It marks the specific spots on a web page but can also indicate other things like the folder you are looking at in Gmail. So, we hope this helped unpack the mystifying stuff in web addresses or site URLs.